I think it is finally time for me to have a go at these hexigons. A nice little bit of handpiecing for me to take to sewing groups and while I am travelling. I have fussy cut some of the fabrics and love the look it gives. Just one question for all those hexi makers out there. 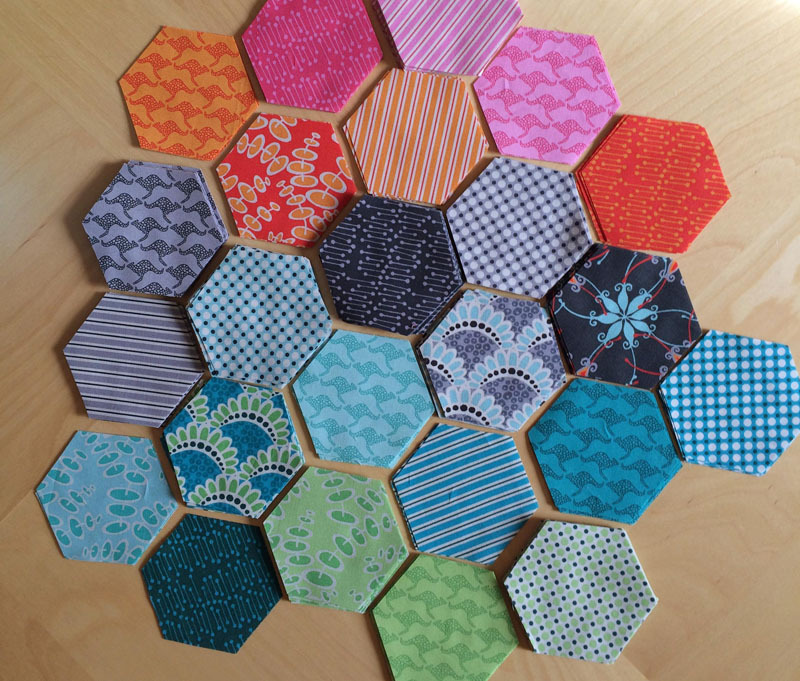 Do you sew baste or glue the fabric to the paper hexigons? Bronwyn: Glue using a Sewline Fabric Glue pen. Fantastic! leanne: I use glue - its so much quicker !